Our church will take part in a Bible study based on a miniseries called The Bible that will air on The History Channel during March. Each Sunday Night in March two episodes in this ten part miniseries will air. We recommend that you watch it at home. Use this opportunity to invite your friends and make it an evangelistic event for you. 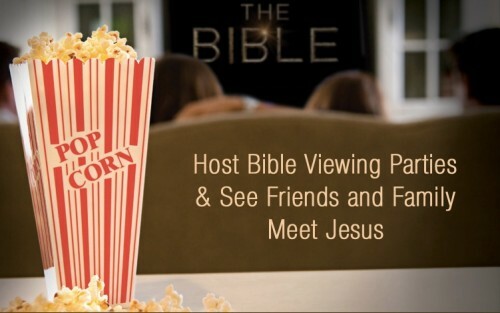 Host a viewing party to watch The Bible miniseries for friends. On Wednesdays we will study the Bible together focusing on the stories and passages covered in the previous Sunday’s episodes. Invite the friends that come to your home to watch the miniseries to church on Wed. We’ll have movie snacks each Wed during march with free popcorn, drinks and candy. This will be a great way to lead up to Easter, the last Sunday in March. If you’ll host a party, let the Pastor know by email.